Does oil still have a role to play in portfolios? With oil prices plunging below the $50 mark for the first time since December 2016, the role that fossil fuels have to play in a modern portfolio once again comes under the microscope. 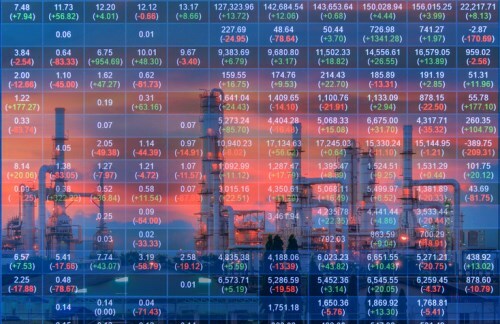 The downward trend in oil prices continues on profit taking and higher US inventories and, despite reports of record compliance, some experts are highlighting a relatively low adherence to the agreed production cuts from OPEC members. Fossil fuels make up around 8 – 10% of the global and 20 – 30% of the Canadian markets, but what proportion of a portfolio should they account for in the modern investment landscape? For Wayne Wachell, CEO of Genus Capital, the answer is simple: none. “I’ve been saying for the past 2 – 3 years that I don’t need hydrocarbons to get performance,” Wachell says. In order to examine how a portfolio might do without fossil fuels, Wachell created a risk model simulation that looked at four different markets - Canada, US, International, and Global – and how they performed over a 20 year period when energy and fossil fuel companies were replaced. The risk model looks for names with energy-like correlations to fill the hole left by energy and fossil fuel companies. Wachell finds that, in most cases, the risk model likes technology companies, financials, consumer discretionaries, and telecoms as the best options to displace oil. To reiterate his point, Wachell highlights that Genus’ flagship fund is up almost 12% (to the end of January) during which time the fossil fuel benchmark is up 10.2%. “In the past 12 months, when oil went up quite dramatically, the fossil free fund is up 17%, whereas the fossils benchmark is up 14%,” he says.